Flexible Solar Panels – How do they Compare? 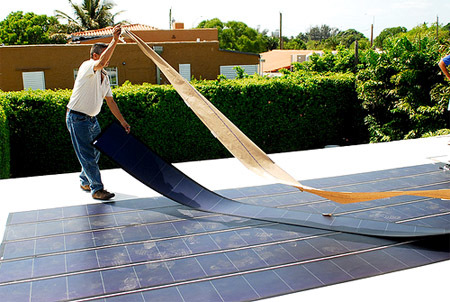 Solar panels are a connected and packaged assembly of photovoltaic cells (PV cells). They can be used as a part of a larger photovoltaic system, which is used to generate or supply electricity for both residential and commercial purposes. There are several different types of solar panels, including monocrystalline silicon solar panel, polycrystalline silicon solar panel, and thin film solar panels. Monocrystalline Silicon solar panels are almost square. They are made up of pure silicon and have efficiency between 19 to 21 percent. They are also more resistant to high temperature. They are known to be the most space efficient solar panel of all since they generate the highest amount of energy. If you have only a limited amount of space, this may be your best choice. Unlike the Monocrystalline Silicon solar panels, Polycrystalline Silicon solar panels are uniform panels. They are also simpler and less expensive. However, they are less efficient since they are less pure. They also cover a lot of space. Fortunately, as the technology advances, these solar panels are slowly catching up with the heat tolerance and efficiency of the Monocrystalline Silicon. On the other hand, flexible solar panels are portable panels made of thin film amorphous silicon deposited on a polymer substrate. They are often used to charge gadgets like mobile phones, walkie-talkies, PDA’s and laptops. They are also used to power field communication radios, GPS systems and camping equipments. Many of these solar panels are even integrated into metal roofing and architectural fabric. 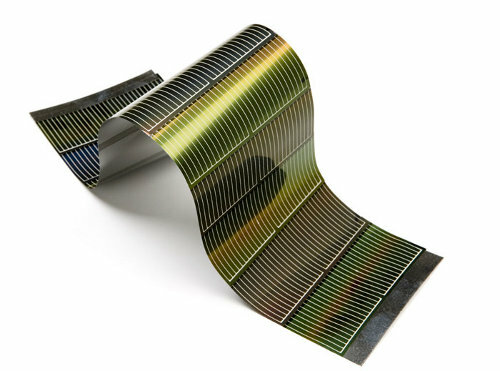 Thin film solar panels provide a number of advantages, especially in that it uses minimal amounts of silicon. They also have a simple process of manufacturing, so it’s easier to produce them at scale. They enable a more creative application and can cover everything such as clothing and curved surfaces. They are also thin and light, and easy to install. In addition, they are considered to be the most aesthetically pleasing of all solar panels.